What started as a protest over the rising cost of bread in December has turned into a call for the resignation of Sudanese President Omar al-Bashir. Following the secession of oil rich South Sudan in 2011, economic hardship has been on the rise, breeding resentment of al-Bashir. The loss of resources of South Sudan and antipathy towards al-Bashir, a harsh leader, have been instrumental in fuelling these protests. While there are clearly many incentives to protest, these riots and strikes speak to the unforeseen dangers of separatism. For over a decade starting in 1999, Sudan’s economic growth was largely driven by oil found in the south. Their vast oil reserves not only boosted their GDP but also attracted foreign direct investment and created thousands of jobs across the country. With South Sudan’s secession in 2011, the country lost three quarters of its oil production, foreign exchanges dropped, and Sudan’s GDP growth fell from 5.2% to 1.9%. The country was also subject to American sanctions up until 2017, put in place due to claims of Sudan as a state sponsor of terrorism and to impinge on the freedoms or perpetrators in Darfur, further inhibiting the ability of Sudan’s economy to support its citizens. Following years of economic turmoil, resentment of al-Bashir materialized into protests following his choice to raise the price of bread from USD 0.02 to USD 0.06, a 300% increase. This policy catalyzed the protests but even without it, it was likely only a matter of time until some other policy did. Not only has resentment been festering over the recent economic conditions, but al-Bashir is largely understood to be a de facto dictator. Despite being indicted on charges of genocide, war crimes, and crimes against humanity by the International Criminal Court (ICC) in 2010, al-Bashir has steadily held onto power for the past 25 years. Throughout the course of the conflict in Darfur, al-Bashir was instrumental in the suppression of non-Arabs and has been accused of covering up mass graves and killing witnesses. The knowledge of these actions has not bred confidence in his ability to lead, especially among the non-Arab populations in Sudan, many of whom seceded in 2011 into South Sudan. The secession of South Sudan can be explained by Al-Bashir’s treatment of non-Arabs in Sudan, a state with a 70% Arab majority. This preference for Arabs materialized itself in a lack of infrastructure and public services for majority black Southern Sudan and government apathy towards any troubles the region may be having. This lack of government interest in serving a large part of its population certainly played a large role in the secession of South Sudan in 2011. Those living there wanted a state interested in their affairs and representative of their interests- they were a nationalist separatist movement. 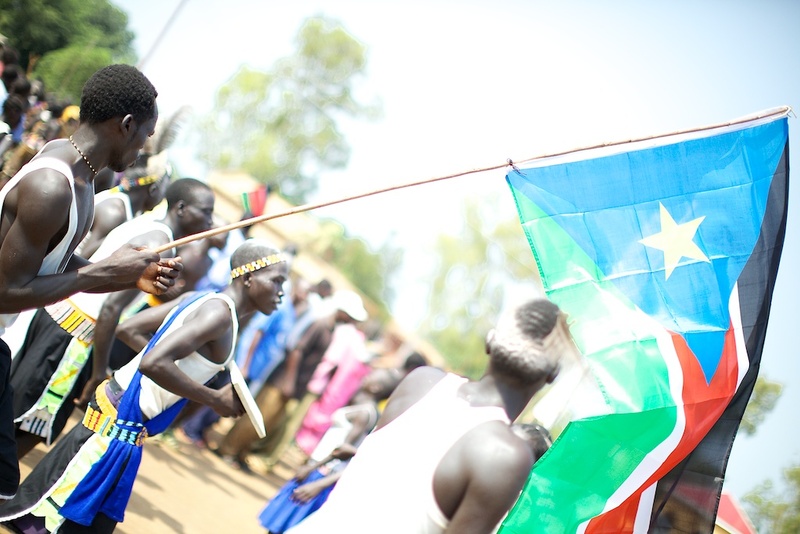 In their success, South Sudan’s independence meant a loss of massive economic resources for their northern neighbour. While South Sudan has been plagued by a number of their own internal problems since the commencement of a civil war in 2013, they are still a successful example of a nationalist movement, and thus one from which lessons should be gained by burgeoning nationalist movements across the globe. The changing of borders based on ethnicity, race, religion, etc. does not come without its fair share of problems – namely the issue of reallocation of resources. The riots that began over bread prices in December soon proved themselves to have much deeper roots as they quickly turned violent and began calling for further reform. The protests have quickly spread from their origins in the city Atbara to numerous cities across the country, notably including the capital, Khartoum. Within a month the protests began calling for the resignation of al-Bashir, citing rampant corruption in his regime. Repression has proved to be the weapon of choice for al-Bashir and government forces, using tear gas and ammunition against protestors. Thus far, 29 have died. Doctors, last week, advanced the protests further by going on strike, a move also expected of other fields. These more public fields are attempting to halt revenue to the government in order to receive appropriate attention towards their grievances. The fact that these prominent members of society and professional associations are involving themselves in the protests lends the grievances further legitimacy, pillars of communities are risking their positions for these changes. It is unclear what will end the protests, be it repression, concessions by the government, or something else but these protests speak to the volatility of nationalist movements and the changing of borders in the modern world. While South Sudan’s secession is surely not the sole cause of unrest and resentment in Sudan, it cannot be discounted for its important role in the protests and other independence movements should be aware of the lessons being learned by both states. With hundreds of separatist movements active across the world today, it is important to question whether sovereignty for different groups is truly the best way to promote their interests. Featured image by Arsenie Coseac, via Flickr Creative Commons.